Phew! You made it! That first step of asking for help can be a tough one! I congratulate you on your courage. Many people never take that step and suffer needlessly. What's causing you pain right now? Panic attacks? Depression? Fear? I understand. When stress gets too high, it has to show up somewhere and often these are the ways it shows up. If you've been struggling to just get through your day, you know the pain of NOT doing something about it. It's likely affecting your confidence, your relationships, your work or school. It doesn't have to be that way! It's possible to live a life without constant fear and fatigue. I specialize in working with women with anxiety, depression and low self esteem. Anxiety can be a general sense of uneasiness all the way to having obsessions and compulsions to full blown panic attacks. The fear that overwhelms you with anxiety feels very dangerous, but it's not. It's really your mind and body trying to cope with life from a very primitive level--fight or flight. But it makes you exhausted, unable to concentrate, isolated, and can even land you in the emergency room with what feels very much like a heart attack. How would your life be different if anxiety was no longer scaring you? Maybe you're just trying to sort out some big life situations, like making decisions about your relationships or coping with the empty nest issue. Maybe your grown kids are causing you some pain. I have three grown kids with kids of their own. I get it. I can help. If you've grown up in a home that hasn't taught you how incredible you are, or you've been through some challenging relationships in which you've been emotionally beaten down, you may be suffering with low self-esteem. This is a very real issue, and not at all uncommon in women. I watch women every day in my practice gain strength and courage and confidence. They begin challenging those lies they've been fed and start spending time with people who support them and lift them up. It's an amazing transformation! This could be YOU! Oh, and for reassurance, I am a Florida Licensed Mental Health Counselor with a private practice in Orlando, Florida. I graduated from University of Central Florida with both my undergraduate psychology degree and my master's degree in Counselor Education. I started practicing counseling in the early 1980s and have loved it ever since then :-) My reward is your healing! As a strong Christian, I have many online clients whom I get to help seek God's wisdom as the main basis for their healing. I'm a leader in my church; I am a volunteer and facilitate a small group. If you're wanting your counseling to line up with God's word, I can help! Don't suffer any longer. Give this a try. I look forward to hearing from you. Connie is the best counsellor I have worked with. She’s responsive to my needs and gives me actionable advice like I asked for. I woul definitely recommend her. She's wonderful I already feel like I can trust her with my problems. Connie is fun, makes the experience so much better. I like it when others are dedicated to helping others and this I believe is Connie. Connie has radically helped me in many ways. She is an excellent counsellor and I am so grateful for her! She is wise, discerning, and an excellent communicator and provides extremely helpful resources as well as great wisdom and understanding. She is a huge asset to BeterHelp! Cool calm and collected. She listens very well. Connie is amazing and relates well to me. When going through hardships, it’s hard to find a counselor who genuinely cares and helps. Not only does she listen but offers activities to help get you through the situation. I can’t imagine having gone through this alone without Connie! I feel stronger everyday as a result. I greatly appreciate Connie’s commitment to her patients. I found her to be extremely responsive, very warm to interact with, and she certainly provided excellent insight on the topics we discussed. Would highly recommend to anyone. It's early days but I already feel safe with Connie. She is encouraging, a great listener and very responsive. She offers me compassionate therapy with practical suggestions and exercises to help me progress. She listens and responds to my struggles, past or present, and has given me an optimistic outlook for the future. I'd honestly recommend her to anyone. Connie is a very wise and supportive counselor. She has been such a great help to me during a time of transition in my life. She is very intuitive and her knowledge base and expertise have exceeded my expectations. I am very grateful for the opportunity to have her support during this time of my life. Connie has been working with me for several months now. She’s been by my side through old and current painful situations, always helping me with her compassionate ear and loving advice. She’s been my saving grace! Connie is an excellent councillor to work with when you need yourself heard. I strongly recommend her! Connie is wonderful! I'm glad BetterHelp matched me to her. I trust her approach and support and ways of counseling me. Connie provides an awesome service! Always enjoy meeting with her and feel like she has really helped me get my life back on track! Thank you Connie!! Connie Branham's soft focused and structured emotional support meant the world to me during a very difficult time. Thank you, Connie. God bless you and your family. Connie is very knowledgeable with many years of working with clients who need couples' counseling. She provided me with materials, resources, and information that not only benefited me during my sessions but also for my future well being. Connie is great! Connie is very empathetic and understanding. She has years of experience and can draw insight into my problems immediately. In the few weeks I've worked with her so far, I've found Connie to be very compassionate, caring, AND knowledgeable. I highly recommend her! 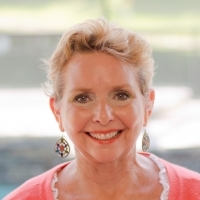 I really enjoy working with Connie Branham, she listens, is sympathetic, asks the right questions and gets me thinking enough to encourage personal growth. This has been the best counseling experience I have had. I sometimes feel like she is my best friend. She makes suggestions based on need and helps get me out of the tough places in my head with such care and concern. Connie is amazing and insightful. I am so very happy with her as my counselor! Connie is a great listener and actually gives advice and wonderful exercises to do...l would recommend her to anyone! Connie did a great job and really helped me though a difficult time. Will recommend to others. Excellent listener and her advice really helps.. I could not have gotten over my hurdle without her..
Connie is great. She has slowly become part of my life. She picked up on my personality immediately and was able to cater her approach around me and my style, not her own. She is the sound part of my life, when I just need it to be about me. Thanks Connie! She has been excellent. I am dealing with some anxiety due to health concerns and she has helped me manage the anxiety. I haven't fully overcome it but I know in due time I will with the help of The Lord and Connie! Connie is wonderful. She is very insightful and leads me through this process. She gives me a lot to think about and keeps me very positive. I have been really grateful for Connie over these last few months. She's a compassionate listener and has really helped me make practical changes to manage the things in my life that I have found overwhelming. I know that as a counselor, she can't actually solve my problems for me, but she's really helping me see the things that I can do that will address the issues I'm facing in my life. I have been communicating with Connie Branham for a couple of weeks and I am totally pleased. I feel she is a caring, warm and understanding person and is very comfortable to speak with. I thoroughly enjoy the times I speak with her and feel she is very helpful. Connie has beed able to help me with my depression after a few weeks of counseling. She gave me simple and effective tools that I will keep using to stay happy. Also,I really enjoyed that she was checking on me almost every day. I really wish I used BetterHelp much earlier. In our busy world it can be very hard and also intimidating to go see a therapist at the office. Online format makes it so much easier and much more affordable. What a great resource! I'm really thankful for my experience and I know that whenever I feel that I'm getting off track I can get help very fast!